PAW Patrol is a action-adventure preschool series starring a pack of six heroic puppies: Chase, Marshall, Rocky, Zuma, Rubble, and Skye, who are led by a tech-savvy 10-year-old boy named Ryder. These girls' pajamas feature characters from the show. They are made of 100% Cotton. Please buy a snug fit. 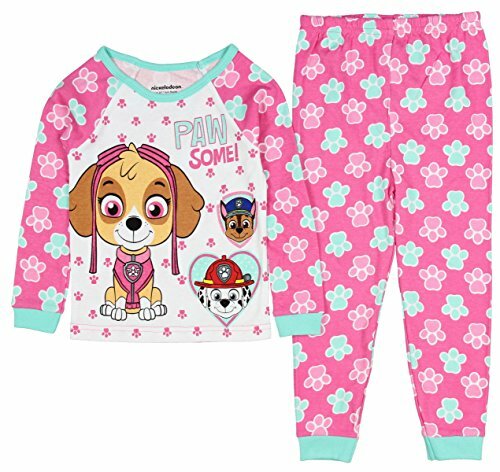 These pjs feature a long sleeve shirt and long pants. Skye Marshall, and Chase are featured on the front graphic. If you have any questions about this product by AME, contact us by completing and submitting the form below. If you are looking for a specif part number, please include it with your message.